From pilots to travel photographers, train aficionados to tour guides, these globe-trotting experts have seen the world. They share their favorite destinations, and why they think they shouldn’t be missed for your next holiday. “Wayag has hundreds of thickly forested limestone karsts and islands, resulting in sheltered bays with white sand beaches and coral reefs,” he says. There aren’t any villages, let alone tourist accommodation, and guests can only really arrive by boat, adds Travers. “I’d highly recommend going to Egypt now,” says Geoffrey Kent, founder of Abercrombie & Kent. “I traveled there at the end of 2015 and it is truly a once-in-a-lifetime experience to see these sites with few crowds. For instance, at Abu Simbel, I was in Ramses temple and had it all to myself for a few minutes. “As I was climbing up the narrow staircase into the center of Cheops Pyramid, there were only a few people that I had to sidestep. It’s a very different experience doing that when the crowds (and heat) are at full force,” says mKent. Move over, Istanbul. There’s a new European city brimming with East-meets-West culture and natural sulfurous waters that give Cagaloglu Baths a run for its money, according to freelance photojournalist Sarah Freeman. “I suggest visiting the Georgian capital’s bath quarter: Tbilisi’s Abanotubani,” she says. “I’d suggest heading to Skeleton Coast, Namibia,” says Lucy Jackson, co-founder and director of Lightfoot Travel. Wild and eerie, this remote desert “seeps into the soul”, she says. “I’ll never forget the sight of the Namib Desert sand dunes crashing into the Atlantic Ocean. 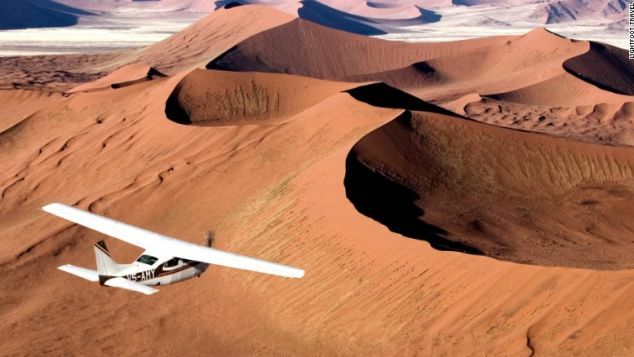 Flying over the Hoanib River by Cessna, it’s easy to spot giraffes and elephants beneath,” Jackson recalls. It also provides a chance to catch the world’s greatest natural light show, the Aurora Borealis. With scientists predicting 2017 as the last year before the Northern Lights enter a dormant phase, “this really is the year to see them,” she says. “I think it’s time that Minas Gerais in Brazil gets some attention,” says Matthew LaPolice, luxury travel manager at Absolute Travel. It’s home to the mining heartland of the country and the financial capital Belo Horizonte. Yet there’s another side to the state where travelers can experience untouched wilderness, a flourishing art scene and delicious cuisine, he says. “I recommend staying at the restored 18th-century farmhouse Reserva do Ibitipoca. 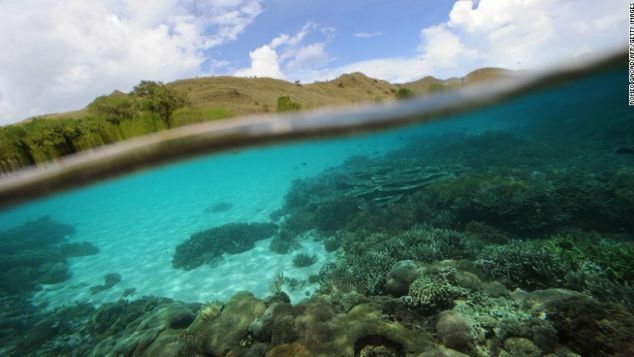 “I suggest heading to Komodo National Park in Indonesia, where [in a hidden cove] a pod of dolphins rest at night,” says Eddie Widnall, founder of Ultimate Indonesian Yachts. Then there’s Tomolol in Misool, where it’s possible to swim through cathedral-like caves and stalactites into a blue lagoon with limestone walls, he says. “I didn’t know much of anything about Mozambique before I went,” says Kristin Addis, CEO, Be My Travel Muse. “When I traveled there I was blown away by the gorgeous white sand beaches that were mostly free of tourists. Mozambique’s capital to travelers: Please come visit! “I’d suggest spending a day walking the ice cap near Kangerlussuaq, go on a wildlife safari, or trek for 10 days across Greenland’s Arctic Circle Trail,” Karsten adds. 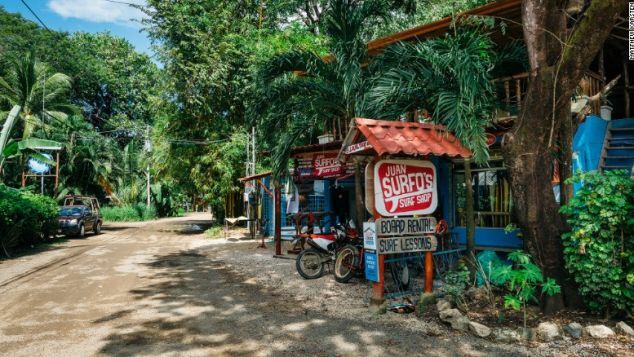 The province of Guanacaste on Costa Rica’s Pacific Coast is a haven for surfers, according to ExpertVagabond’s Matthew Karsten. Many surf towns can be a bit crowded. “That’s what’s great about this place — the small town of Nosara doesn’t get as many visitors,” he says. Mark Smith, train expert at Seat61, says the 296-mile journey between the Serbian capital and the Adriatic coast of Montenegro is one of Europe’s most spectacular train rides. “I think it’s absolutely epic. It summits at over 3,000 feet above sea level in the breathtaking Montenegrin mountains,” he says. “It’s also an engineering marvel with 254 tunnels and 435 bridges, including the world’s highest railway viaduct,” adds Smith. “The roads require four-wheel drives and a driver who knows how to use one, so I’d suggest exploring the area with a tented safari camp such as Kulu Safaris or Leopard Trail,” suggests Ponniah. 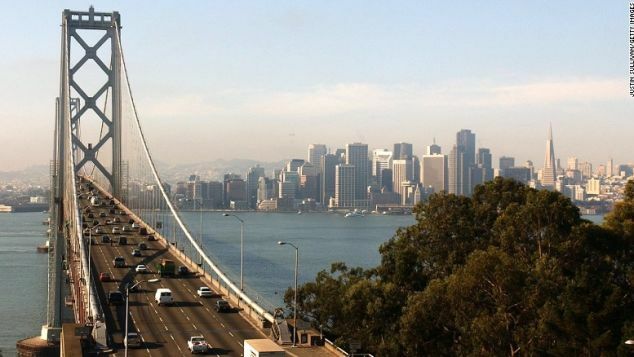 Take it to the Golden Gate Bridge, on a bike. “Cycling past the ferry building and piers along the harbor gives a great feeling of the maritime history of the city,” he says. It’s always worth dropping into Pier 39 for a bread bowl of clam chowder and a drink, then heading onwards to the Golden Gate, Swinburn suggests. “There are many great lookout points en route to take in the bustling bay. “Jamaica is such an amazing destination. There’s stunning scenery, fabulous food and an unbelievable musical history,” says Matt Vlemmiks, head of product and commercial at Elegant Resorts. Vlemmiks recommends staying at Strawberry Hill, where guests can see the city’s twinkling lights beyond the mountains while hearing faint reggae beats. “It’s not a hidden gem to some, but I’d recommend Segera Retreat in Laikipia county, one of the 47 counties in Kenya,” says Michelle Karam, founder of Travel Junkie Diary. “The retreat is nothing like I have seen before. It’s a place to reflect with nature and solitude, a place where guests learn about the community and Kenya’s wildlife,” adds Karam. “It’s quite the drive and public transit is not an option, so travelers should make sure to rent a car or have a local driver,” she says. One tip: Slang is everywhere, even on on public signs. Spot a sign saying “no liming?” It means no “hanging out” or “chilling” in that spot. 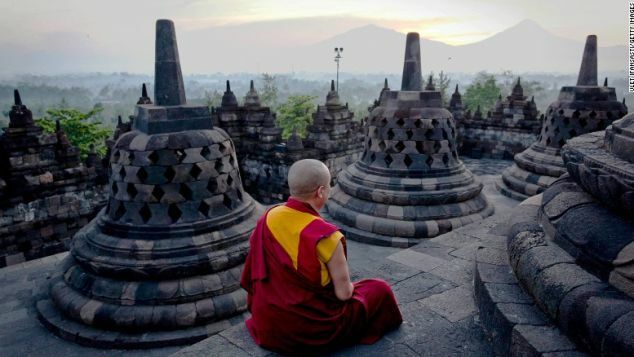 For an extraordinary experience, it’s hard to beat visiting the ninth-century Buddhist monument of Borobudur, says Sophie Marchant, travel editor of LuxuryExplorer.com. Overlooking the Kedu Plain in central Java, “this spot fills me with awe,” says Marchant. “I stayed at Aman’s Amanjiwo, which I definitely recommend. I woke up at 4 a.m. and climbed the summit for unbelievable views of Kedu as the sun came up over Mount Merapi, a whispering volcano. Maxine Headley, Smith24 travel expert, says she really wants to dispel myths surrounding India: that it’s difficult to travel around and that visitors are likely to get sick. “I don’t know where all the negativity comes from,” says Headley. Nicky Brandon, director of sales and marketing and Africa travel expert for Ker & Downey, advises heading to Kenya’s Northern Frontier for a truly off-the-beaten-track journey. “I believe the village visit here is the most authentic and genuine experience. Go way out and sleep under the stars at a private fly camp. “Also keep an eye out for the Samburu Special Five: reticulated giraffe, Grevy’s zebra, gerenuk, Somali ostrich and beisa oryx,” says Brandon. These animals are unique to this region in Kenya. People don’t really think of walking in Hong Kong, but the city’s great for it, says Charlie Stewart-Cox, Cathay Pacific general manager for South Asia, Middle East and Africa. There are fantastic hiking tracks and mountain paths — both inside and out of the city, says Stewart-Cox. “I particularly enjoy a soothing walk on Lugard Road, Victoria Peak. Sections of the path are on the cliffside, meaning it offers the best views of the Hong Kong skyline,” he says.